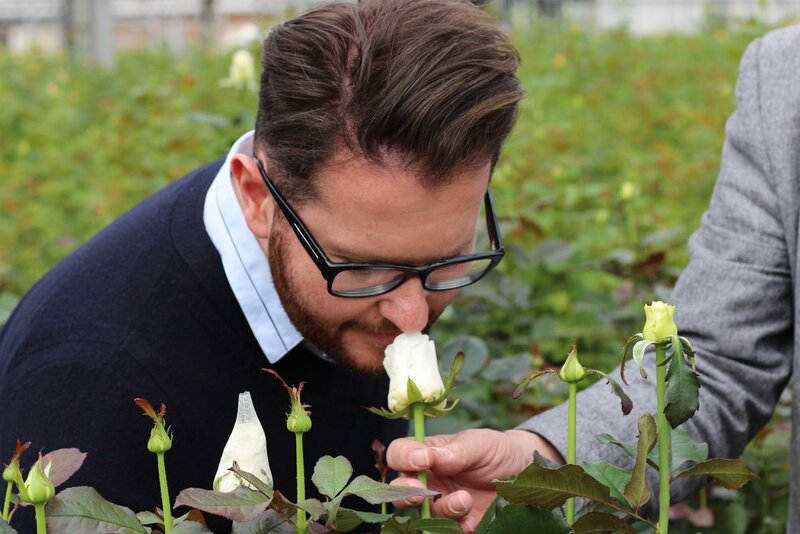 Neill has put together a combination of his dream scents based on his floral couture experience and life-long passion for flowers and fragrances. After years of preparation, he is now introducing his new line of exceptional quality fragranced candles. Learn all about these six extraordinary candles named Belgravia, No.11, Santal d’Orient, Rose & Oud, Cassis Noir and Verdure. I don’t remember which came first, my passion for flowers or my passion for fragrances. In any case, the two are so deeply intertwined. I recall afternoons as a child spent with my grandmother in her garden that was a delight for its beauty as much as its scent. And throughout my floristry training and career, there have been different fragrances of flowers that have continually bewitched me. I love to wear colognes, and I particularly enjoy layering them. I am very sensitive to the fragrance of my own home, and those of friends too, achieved by burning fragranced candles. Perhaps years of this intrigue, combined with my daily experience of floral fragrances both at the boutique and with the growers during my sourcing visits, developed my sense of smell to the extent that I wanted to create my own favourite fragrances in a line of candles. Those fragrances that I have learned to love most over the years. It has taken years to develop, but I am now thrilled to launch my own range of fragranced candles. Poured in ornate “cut-crystal” pressed glass vessels of 300 gms with an elegant metal lid that also serves as a stand, my seven candles have been composed with an unusually high percentage of exceptional quality fragrance oil produced with all natural, organic ingredients by one of the finest fragrance houses in the world based in Grasse, France. Dressed in luxurious packaging in the signature Neill Strain Floral Couture style, these exquisite candles burn for 60 heavenly hours and will soon be available at the Belgravia boutique and for ordering online. Creating a fragranced candle is rather like an onologue making wine. It is a complex business! Not all fragrances are created equal, some are short and delicate, others intense and lingering. As the different layers of wine reveal themselves on the palette, the fragrances of a candle unfold in the same fashion on the nose. Let me introduce you to the different fragrances. Belgravia has been the home of Neill Strain Floral Couture since 2008 when I opened my first boutique. 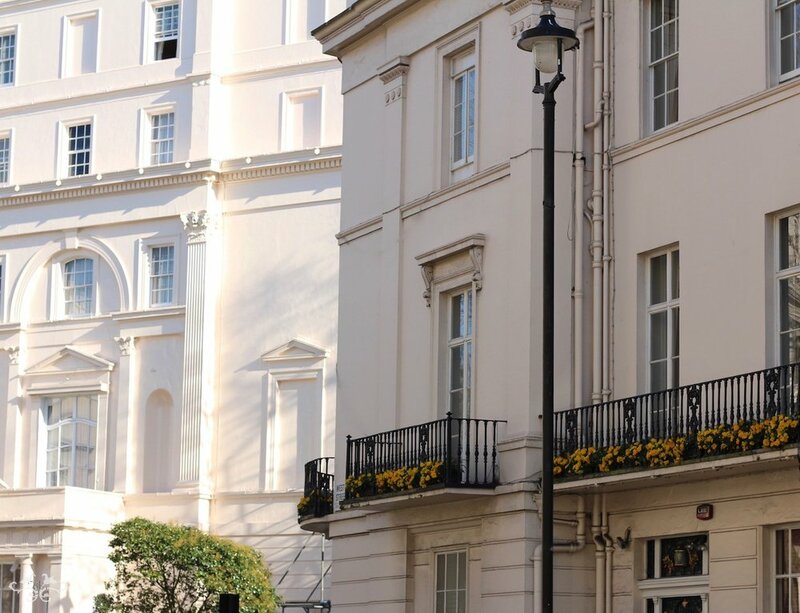 I have always been overwhelmed by the beauty of Belgravia, the elegance and magnificence of its architecture and square gardens. Naturally, the most elegant and distinguished of my fragranced candles had to be named “Belgravia” in recognition of this exceptional neighbourhood and in gratitude for the success it has brought to my business. For the heart notes of this fragrance I selected the classic Rose combined with the creamy-sweet scent of Magnolia, both of which grow prolifically in the Belgravia square gardens and especially in Belgrave Square, a stone’s throw from the boutique. The top notes are citrussy and fruity to give elegance and grace while for the base notes, I chose the earthy, spicy, honey-like tones of Cedar, Musk and Amber to add rich, velvety layers that balance the sweetness of the floral and fruity notes. The pale pink packaging is a reflection of the colour of the Magnolia and Roses. Top notes: Citrus, Bergamot and Cassis. Heart notes: Rose Petals and Magnolia. Base notes: Cedarwood, Patchouli, Amber and Musk. No. 11 is named after and inspired by the Belgravia boutique which is located at 11 West Halkin Street. This fragrance is the most floral in the range and was created to evoke the delightfully intoxicating sensation you get when walking into the boutique. A temple of floral decadence, the boutique is where we showcase our extraordinary flowers and designs and the scent of these blooms is a concoction that changes from day to day and season to season. Lily of the Valley, Oriental Lily, Rose, Carnation, Violet, Geranium and zealous Jasmine are the floral notes that make up the heart of this fragranced candle. The top notes are that of sweet garden Cyclamen combined with delicate green and fruity flavours while the base notes are of earthy Cedar and warming, sensual Musk. Burning this candle is an absolute delight! 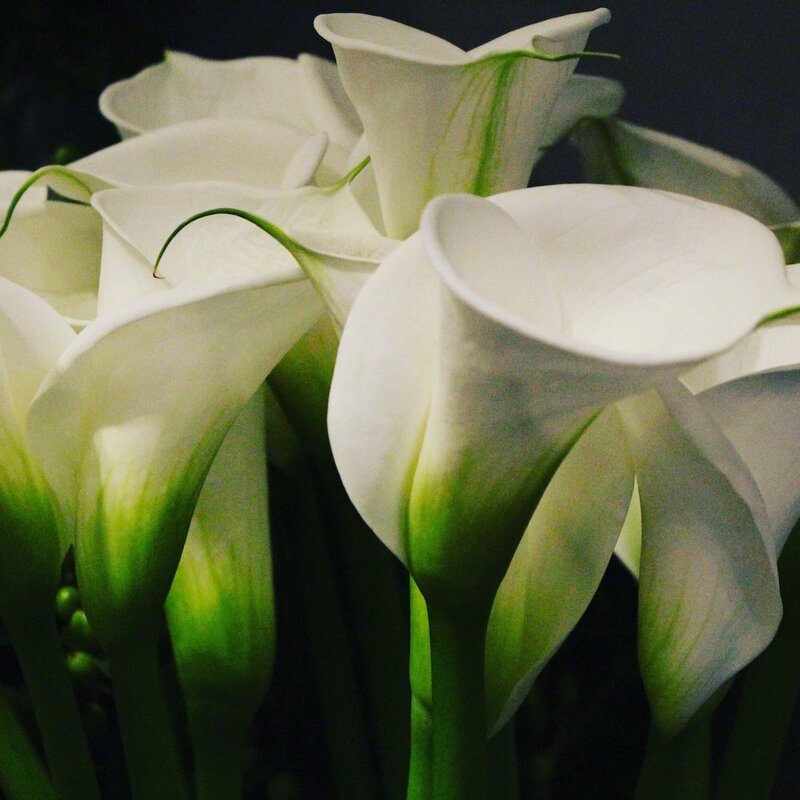 Packaged in a sophisticated white box, this fragrance is dedicated especially to this year’s Belgravia in Bloom, the theme of which is “The Language Of Flowers,” and we will reveal more about the language of this fragranced candle in May. Top Notes: Cyclamen, green and fruity. Heart Notes: Lily of the Valley, Lily, Rose, Carnation, Violet, Geranium and Jasmine. Base Notes: Cedar and Musk. Burning Santal d’Orient brings all the exotic spice and mystery of the Orient into your home. I love spice in fragrances, whether it’s in a candle, a cologne or in food! The middle, dominant notes of this candle are of Ylang Ylang, the intense sweet, floral flavours derived from the Ylang Ylang flowers that grow in Madagascar on the tall Cananga Odorata trees. The flowers look very similar to the rare yellow Gloriosa flowers that we are able to source sometimes for the boutique. Mixed with intoxicating, musky-earthy aromas of Patchouli, this is a perfect combination. The spiciness of cardamon, nutmeg and clove on the top notes give an even more exotic feel with a long-lasting, smooth woody base of Sandalwood, Cedar and the masculine Vetiver. Vetiver oil is derived from the distilling of the large, interlinked root system of grasses from the Poaceae family, plants native to Southern India and Indonesia that are more than 50 years old. It’s cooling qualities balance the hot spicy characteristics of the other ingredients in this candle. It can be enjoyed alone or lit together with a floral-based fragranced candle. Top Notes: Cardamon, Nutmeg and Clove. Heart Notes: Ylang Ylang and Patchouli. Base: Sandalwood, Vetiver and Cedar..
Ylang Ylang, Gloriosa, Patchouli flowers, Cardamon, Vetiver grass and roots, Sandalwood and Cedar. This fragrance is the most intense in the range. I adore Oud and wear it as my own fragrance frequently. The most rare and expensive of oils for fragrances, Oud is also known as liquid gold. Its story reminds me of Parrot Tulips which originated because, centuries ago, a bacteria infected the Tulip and made the colours of the petals have a blurred appearance which became extremely sought after. Oud is an oil derived from the tropical Agar tree, originally from India. While the trees are rare and rapidly becoming a threatened species, Oud can only be obtained once the wood is infected by a parasitic mold, Phialophora Parasitica, which causes the tree to produce a dark, fragrant resin, which is melted to create Oud. Apparently only 2% of Agar trees are affected by this mold, hence the extreme rarity. Oud has a rich, warm sweetness to it reminiscent of balsamic. 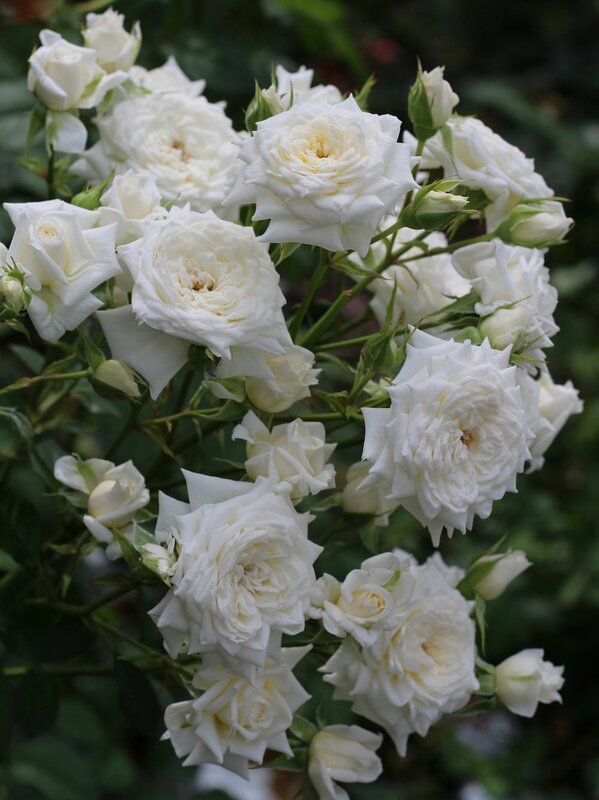 Highly complex and aromatic, it marries divinely well with the sweet floral scent of Rose, Jasmin and Geranium. Praline adds a hint of caramel and musk while the incredible richness of the base notes gives further intensity… the woody notes of Cedar, Sandalwood and Amber, grassy Vetiver, earthy notes of Musk and Patchouli together with the sweetness of Vanilla and Raspberry. Agarwood Trees, Roses, Vanilla Orchids and Raspberry. Autumn is probably my favourite season of the year when it comes to floral design for all the beautiful berries, fruits and foliages there are to combine with flowers. Autumn is synonymous with Blackberries and this richly fragranced candle, Cassis Noir, exudes the scent you can enjoy on a walk in the Irish countryside through lush, mossy woods picking large, juicy blackberries. The heart notes are intensely fragrant like a full-bodied red wine from the Rhone or an Australian Syrah, profoundly aromatic, slightly spicy with the hint of sweetness from the pastry. The top notes are layers and layers of black berry fruits and the sweetness of these are balanced by the earthy, damp flavour of moss, the warmth and richness of wood and a touch of lingering Musk. Traditional Musk is secreted by adult male Musk Deers, native to Asia, when trying to attract a female. This very potent, long-lasting scent has been used in perfumes and medicines across the globe for thousands of years. Top Notes: Blackberries, Blueberries and Blackcurrants. Heart Notes: Dark Berries and Hint of Pastry. Base Notes: Green, Mossy, Woody and Musk. Verdure is the French word for greenery and this fragranced candle is all about green. As a floral designer and a lover of nature, greenery is an essential part of my life so one of my candles had to be dedicated to this! Cypress, Thyme, Basil and Papyrus, the middle notes, remind me of the South of France and the beauty of the Mediterranean. Fragrances can evoke strong memories and make the experience more profound and this candle can transport you to Provence. The herbaceous heart is topped with citrus notes including Elemi, a sharp, lemon-scented resin from the Manila Elemi tree that grows in the Philippines along with slightly-sweet tobacco. The base notes of this candle are intense. Musk, Smokey Vetiver, Balsamic, aromatic incense and our favourite woody fragrances of Cedar and Sandalwood. The rich, sweet-scented Sandalwood is known as an ancient healing oil with many qualities including sedation. For centuries in India it has been a treatment to calm the mind and enhance meditation. The heavy, fine-grained wood has been used for carving and building for over 4,000 years and was transported from India to Greece, Egypt and Rome. Today the trees are endangered due to over-harvesting. Verdure can be burned alone or simultaneously with other floral editions from our range for a more complex experience. Top Notes: Citrus, Elemi and Tobacco Leaves. Heart Notes: Cypress, Basil, Papyrus and Thyme. Base Notes: Cedarwood, Sandalwood, Smokey Vetiver, Incense, Balsamic and Musk. Green inspirations for Verdure from Provence, South of France. I hope this blog post has been both enjoyable and informative, increasing your awareness of the immense detail that burns within a fragrant candle! As soon as our candles arrive we will be sure to let you know. So stay tuned!